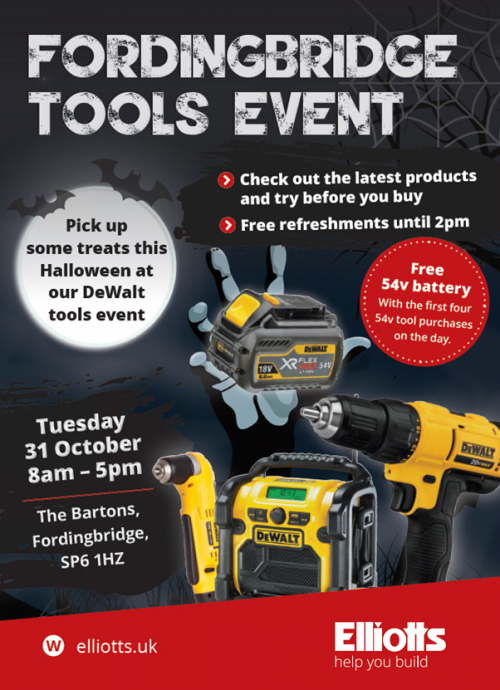 Don’t miss the DeWalt event day at our Fordingbridge branch on Tuesday 31st October. Running from 8am – 5pm, there will be plenty of time to try out all the latest DeWalt products and speak to the experts. There will be free refreshments until 2pm for those who attend, as well as some exclusive event-day offers. 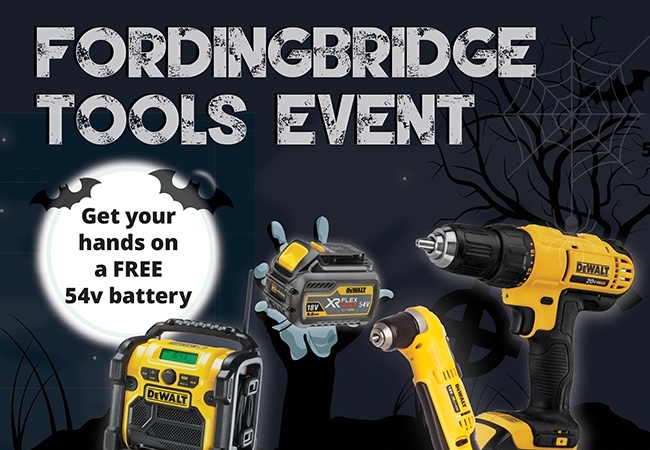 It’s all ‘treat’ this Halloween, with DeWalt giving away 4 x 54 volt (2amp) batteries to the first 4 customers who buy any 54v 2 x battery tool. Also, any customer who makes a Stanley or DeWalt purchase on the day will be entered into a prize draw to win a DeWalt GORE-TEX® jacket.